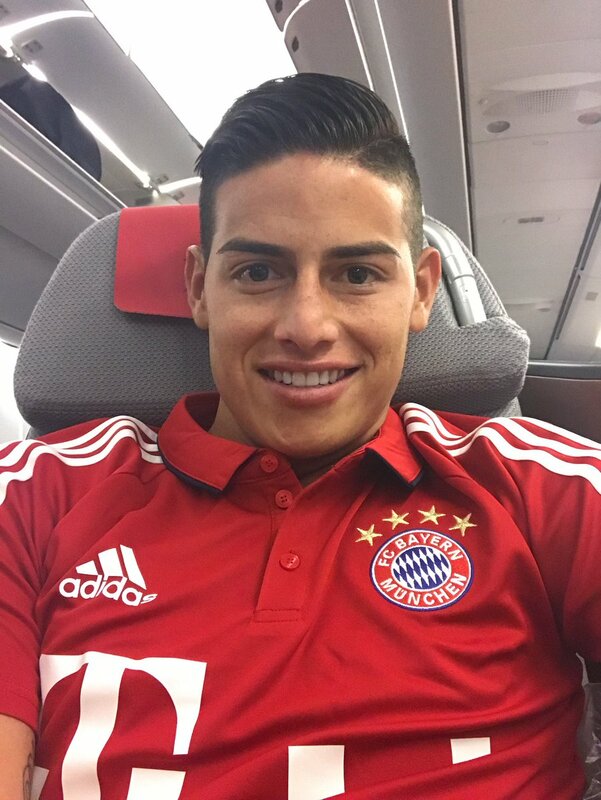 Colombia international James Rodriguez has said that he is ‘very happy’ with his stay with Bayern Munich despite being hampered by injuries and the patchy form during the first half of the season. Rodriguez joined the Bavarian giants on a two-year loan from Real Madrid earlier in the summer, and he has since managed two goals and four assists in 19 appearances. Speaking to Sport1, Rodriguez was complimentary about his current employers, and feels Bayern are at the same level as his parent club Real Madrid. He added to reveal his contention of playing for the German champions, and he is hoping to stay with the club for the long-term. “I am very happy with how things have been going. Bayern Munich is a huge club and they are on the same level as Real Madrid I feel. I like the city very much but it is very cold here indeed. I have adapted to my new situation as I would love to stay here for many more years in the future…,” he said. Rodriguez has recently been associated with former suitors Manchester United and Chelsea owing to him feeling insecure with the Bundesliga holders, but he has now erased the thought of him returning to the Bernabeu to pursue a fresh challenge elsewhere. Bayern head into the winter break holding a comfortable 11 points lead over second-placed Schalke 04, and they look good value to bag their sixth title on the trot, having stabilised under Jupp Heynckes, who has renewed the lost confidence during the early part of the season. Despite a slow start, Bayern remain in contention across all competitions, and Heynckes has the opportunity of helping the club progress in the Champions League, which they won under his guidance during the 2012/13 season. Bayern take on Bayer Leverkusen in the Bundesliga after the winter break.